A New Way of Transferring Money via DuitNow !!! "Please give me your bank account details..."
"What's your bank account number again?" "Which bank is your account? I forgot..."
Now, you don't have to ask your friends their lengthy bank account number anymore. With DuitNow, you can send money instantly on a 24/7 basis to mobile numbers, NRIC numbers or business registration numbers. Send and receive funds instantly anytime, anywhere. Instantly?Yes, because the name was 'Do-it-Now' actually. How can I receive money using DuitNow? 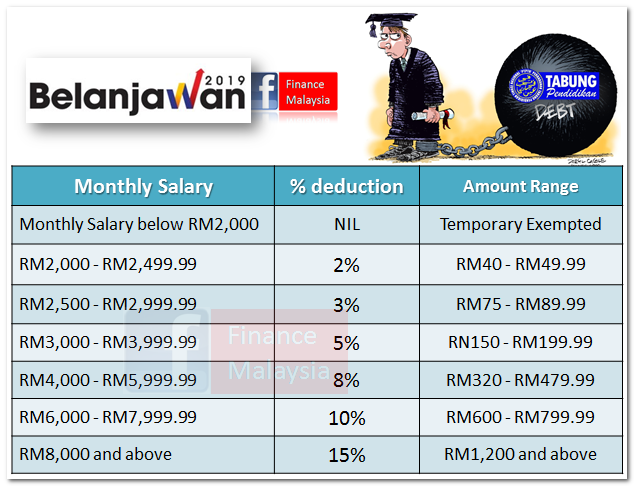 Under the new mechanism which was announced in Budget 2019, all PTPTN loan borrowers have to abide by the repayment of their student loan via salary deduction starting Jan 2019. Today, PTPTN chairman Wan Saiful Wan Jan disclose the details via media briefing on this new mechanism called "Scheduled Salary Deductions" or "Potongan Gaji Berjadual" (PGB) in Malay. So, how many percent % would it be from your salary ??? How about first-class honors graduates? It's time to go cashless! ❤❤❤ After knowing the unavoidable changes that landed here, e-wallet will take the market by force or by storm. From our previous article, 👉 "Why e-Wallet will be the Future Payment Method in Malaysia?" (click here), we continue with the topic of e-wallet. No more carrying hefty cash. You can do it all from your smartphone! In this article, we will write about the most widely used / popular e-wallets in Malaysia. Why e-Wallet will be the Future Payment Method in Malaysia? Throw away your wallet! Replacing it with e-Wallet! You like it or not, the future of making transactions will be via electronic-wallet or QR code payments. We called it as e-Wallet. In recent years, QR code payments are increasingly being seen as an affordable alternative to cash payments, particularly in Asia where mobile phone penetration is relatively higher. Across different jurisdictions, regulatory approaches have varied. Considering Malaysia’s market characteristics, Bank Negara Malaysia has adopted a unique approach that aims to ensure a unified and interconnected network amid the proliferation of QR code payment providers. Hopefully, this will be happening very soon. What's the central bank's initiatives on e-wallet ? Attention to all EPF members investment scheme (MIS) members, once again, EPF has just announced that they will be revising the basic savings threshold before a member can withdraw for investment purpose effective Jan 2019. Of course, it will be revised higher in view of rising inflation or the depreciation of our value of money. The new quantum for the Basic Savings in EPF Account 1 will be revised from RM228,000 (RM 950 per month for 20 years) to RM240,000 (RM1,000 per month for 20 years) at member’s age of 55 years old. According to EPF, the basic savings refer to the amount that is considered sufficient to support members’ basic retirement needs for 20 years from age 55 to 75 aligned with the Malaysian life expectancy. [P2P Investment] Five Mistakes that You Must Avoid !!! In this last article of P2P investment series, we would like to highlights these 5 common mistakes that every P2P investors must avoid. Let's get it done right! 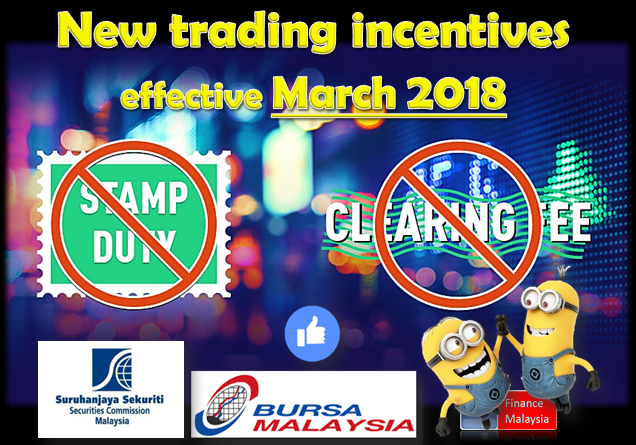 In order to ensure Bursa Malaysia’s sector and sectorial index continued to appropriately represent the global equity markets and enable asset owners, asset managers and investment research specialists to make consistent comparisons by industry, there are some new enhancements being announced today. 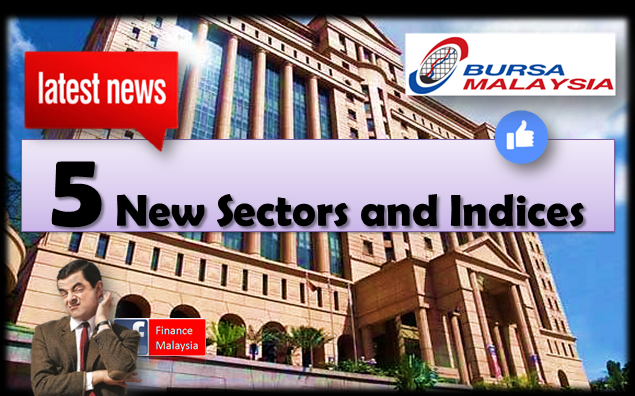 Hence, Bursa Malaysia today introduces 5 new sectors to align its sector classification with internationally recognized standards, bringing the number of Bursa Sectoral Indices to 13 sectors with immediate effect. [P2P Investment] How to setup Auto-Invest feature on Funding Societies and Fundaztic platforms? After comparing the two most popular P2P platforms in Malaysia (What are the differences between Funding Societies and Fundaztic platform? ), many lazy investors (like me) would like to invest as hassle-free as possible each time. So, in this article, we will share with you how to setup the auto-invest feature available in Fundaztic and Funding Societies platforms. [P2P Investment] What are the differences between Funding Societies and Fundaztic platform? As promised, this topic has investors scratching their heads and curious about when choosing which P2P platform to starts investing with. Here, we selected the two most popular platform and do a simple comparisons between them. 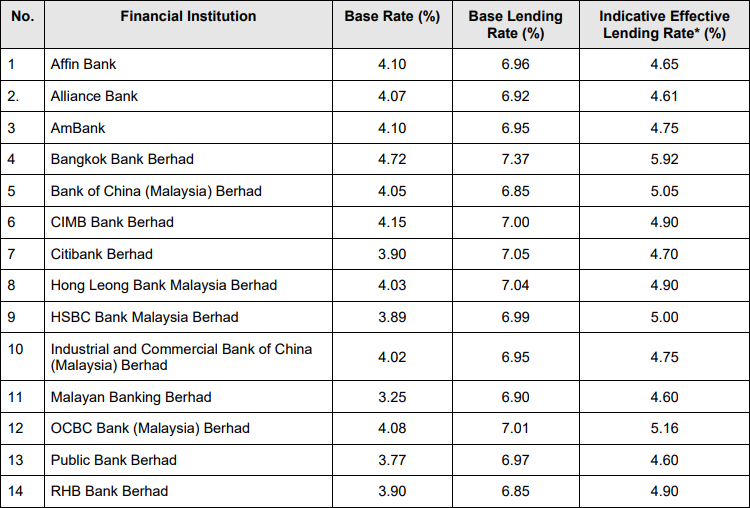 After understanding how and why P2P lending existed nowadays (click here to read our previous article), let's move on knowing all the approved P2P operators in Malaysia now. [Crowdfunding] What is P2P financing? And, what's in it for investors? Peer-to-peer (P2P) financing is a web-based innovation that broadens the ability of entrepreneurs and small business owners to unlock capital from a pool of individual investors in small amounts and provides a quick turnaround time to obtain financing for their businesses, through an online digital platform. P2P Financing is already a well-established concept in the USA, UK, and China, amongst many other countries. Instead of the traditional ways of sourcing funds from financial institutions (which normally takes longer processing time and stricter rules), P2P financing serves as an alternative financing method for SMEs to raise funds for working capital or business expansion. First of all, let us congratulates Pakatan Harapan (PH), lead by Tun Mahathir, coming with a beautiful victory over the ruling coalition Barisan Nasional (BN) on 9th May 2018. This is the 14th general election of Malaysia where Malaysians vote to decide who to lead the country forward. The mandate was given for 5 years, and Tun Mahathir scores the many history records on this beloved country and the world. 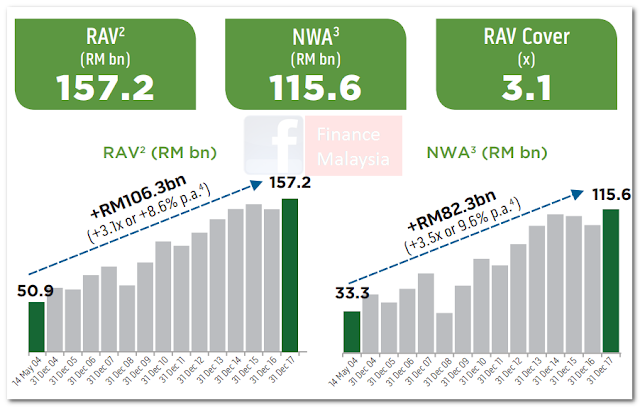 Where will the local market heading to after GE14 ??? Yeah... It's drawing closer and closer now. The election war officially started on nomination day where we see troops of supporters from both sides (even 3 corner fight) raving from the nomination center till various social media platforms. The ruling party already flooded your favorite YouTube, News portals, and TV channels with their campaign manifesto, while opposition parties holding ceramah day-and-night nationwide to draw the attention of voters on top of their usual Facebook reach-out strategy. Would Malaysia follow the surprise trends of the world? Let's see and investors should prepare for the different outcomes of the result. Here are the updated tax relief listings for your reference. Let's max up the relief given to reduce your tax burden. Please take note that item 8 was combined together and only can be entitled up to a maximum of RM2,500 relief. Although the limit was reduced, if compared to the separate limit given in previous years, it does include internet subscription and smartphone and tablet this round. Against a background of broad-based global recovery and the relatively low volatility in the international financial markets, the Malaysian economy performed strongly in 2017. The Annual Report provides an analysis of the developments in the Malaysian economy and outlines the future challenges. Real estate investment trusts (REITs) has been the favorite for those investors seeking stable yet attractive yield. Instead of putting money in bank's fixed deposit, many of us would rather be investing the money into REITs. 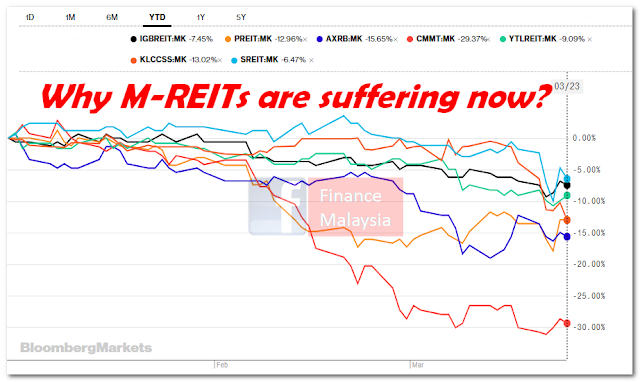 CMMT suffers the most YTD with around 30% price drops. However, things turn worse recently (especially since the beginning of 2018) due to a few reasons. 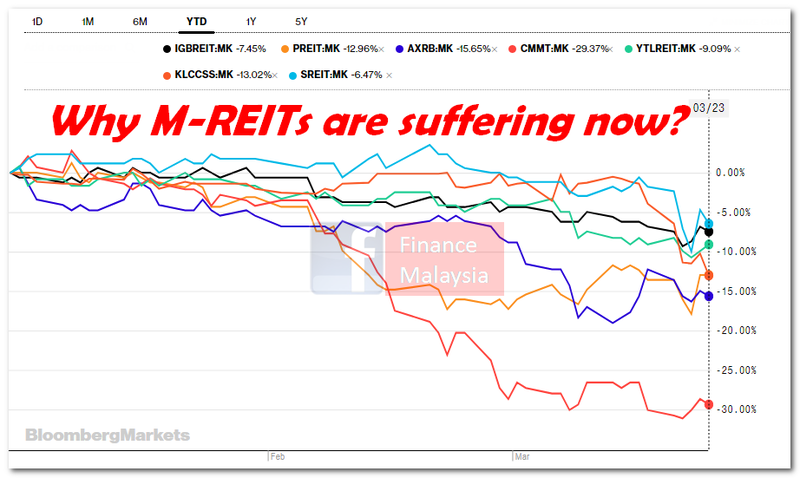 Prices of REITs suffers and no longer considered 'stable' anymore, thus pushing the dividend yield abit higher now. Dividend yield higher seems to be more attractive ??? Great news for all retail investors!!! You can now have more reasons to expand your investment portfolio and trade more with the new trading incentives that will take effect on 1 March 2018. These measures were announced on 6 February 2018 by Prime Minister at the World Capital Markets Symposium 2018, hosted by the Securities Commission Malaysia. Effective from 1 March 2018 until 28 February 2019, below is the list of Fund Management Institutions (FMIs) and unit trust funds that qualify for offering under the EPF Members Investment Scheme (EPF MIS). 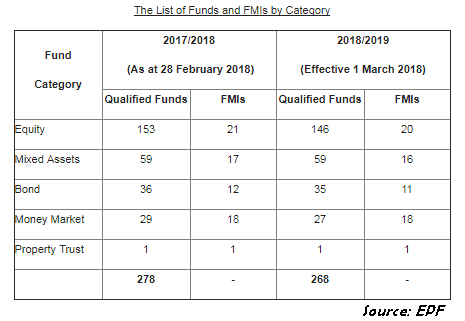 For the 2018/2019 period, there are 268 funds from 22 FMIs qualified. Does your fund in the list this year? After the latest Overnight Policy Rate (OPR) hike by Bank Negara Malaysia (BNM) in January 2018, all the banks and financial institutions react to increase their lending rates accordingly. How about Islamic loans ??? How to get your eCCRIS report ??? Applying for a housing loan? What is inside CCRIS report? Securities Commission Malaysia (“SC”) and Bank Negara Malaysia (“BNM”) wish to draw the public’s attention to initial coin offering (ICO) schemes which may involve activities that are subject to laws administered by the SC and BNM. Carrying on such activities without proper authorisation is an offense. Issuers of ICOs should be mindful that the launching of an ICO, the offering of digital tokens in exchange for digital currency or any form of payment and incidental activities thereof, may trigger regulatory requirements under securities laws. In addition, no person is permitted to carry out any regulated activities such as fundraising, fund management and dealing in capital market products without obtaining necessary approval or authorisation from the SC. Why Ringgit continues to strengthen lately??? Could SGD/MYR go down to 2.50 ??? Just when everyone is happily converting their Ringgit for overseas vacations last month, the Ringgit continues to strengthen during the first week of 2018. No wonder many people are speculating that the SGD/MYR could go down to 2.50 level not seen for multiple years. Could this happen this year? Lately, there is a tremendous interest by the public to find out a scheme called SSPN-i. However, there is another scheme called SSPN-i Plus which is similar, but different. 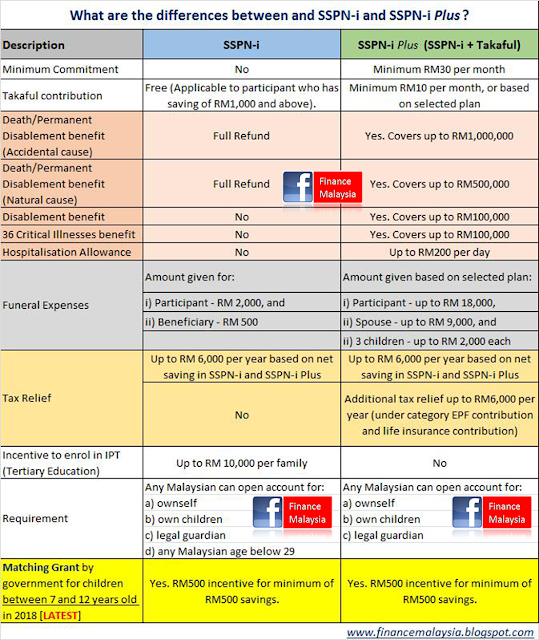 Because of your keen interest, Finance Malaysia takes the initiative to summarize it for you the differences between SSPN-i and SSPN-i Plus for your reading pleasure. Hope you all like it. What's the package/plan as mentioned in SSPN-i plus ??? Different plan different benefits ??? How much for each plan ?? ?